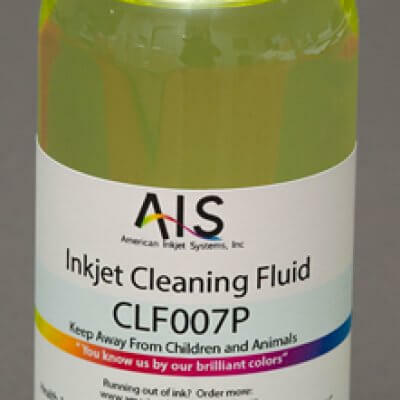 American Inkjet System’s FLF008 flushing and lubricating fluid is great for annual maintenance flushes, flushing out a perfectly performing head for an ink changeover, or as lubrication fluid in the head to prevent it from drying out. 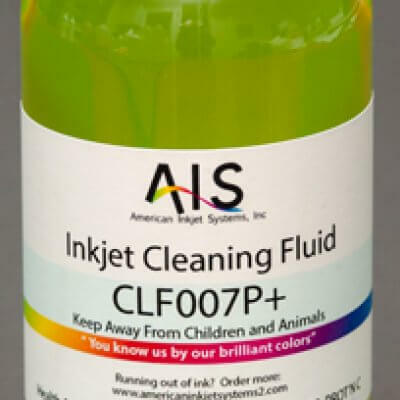 This formula is designed specifically for use in film positive printing setups. During film positive printing, you may only be using black ink. In setups like this or other setups where you aren’t using every ink slot, FLF008 is a cost-effective replacement for ink in unused slots.